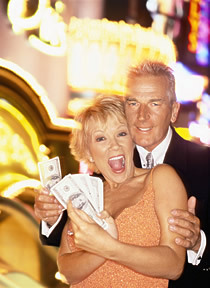 The longer you play, the more opportunities you have for getting free drinks, food, entertainment and lodging. These are known as casino comps. These perks are normally set aside for the casino’s best players, but we show you how to make your gambling dollars go farther. Comps are normally given to those gamblers who invest the most. This can come from high per hand investment or from extended play. Extending game play, and winning video poker, is not based on luck alone, but depends on how hands are played. Video Poker for Winners teaches you how to play your hands the way they should be played. This will let your dollars last longer which will lead to more comps!